Lion Air flight JT610 crashed into waters north of Karawang, West Java, only 13 minutes after takeoff from Jakarta’s Soekarno-Hatta International Airport on Oct. 29. 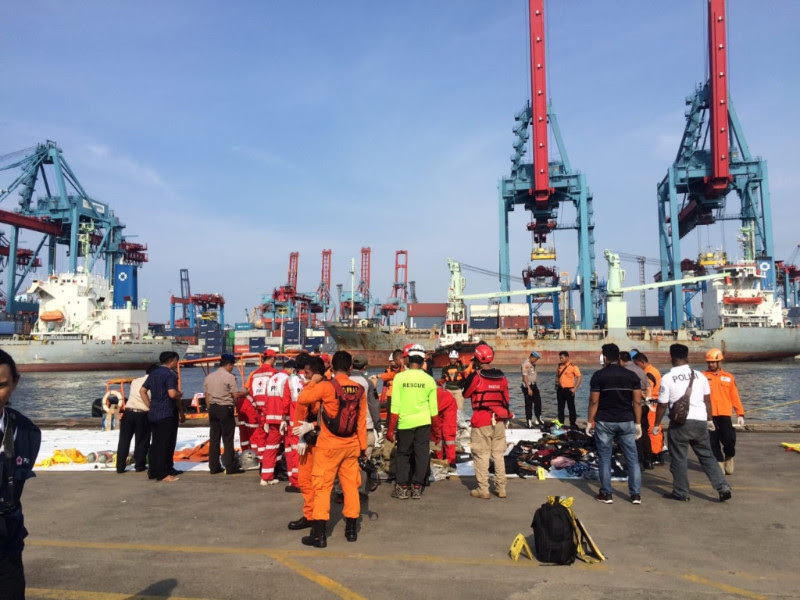 After spending hours scouring debris in the waters 7 nautical miles (12.96 kilometers) north of Tanjung Bungin in Karawang, rescue workers found no indication that anyone had survived the crash. The National Transportation Safety Committee (NTSC) said 178 adult passengers, three minors, two pilots and six cabin crew were on board. Previously, Lion Air said a technical problem had been reported by pilots when the same aircraft flew from Bali to Jakarta the night before the crash. 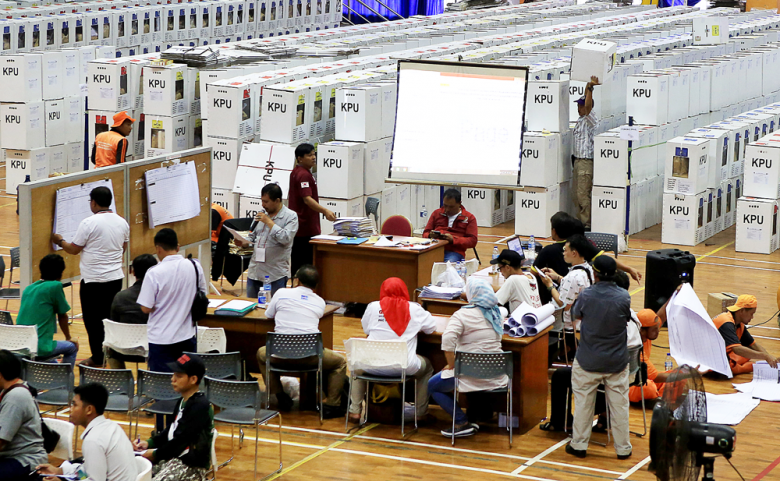 The Corruption Eradication Commission (KPK) is investigating the possible involvement of Lippo Group in a corruption case surrounding the Meikarta property project in Bekasi, West Java. The KPK is scheduled to question Lippo Group CEO James Riady as a witness on Oct. 30. James' questioning will help the KPK investigate the alleged involvement of nine people, both from the Lippo Group and the Bekasi administration, who have been detained by the KPK and named suspects. The KPK is investigating the extent of Lippo Group’s alleged involvement in bribing Bekasi Regent Neneng Hasanah Yasin, particularly as the alleged bribe was reportedly paid by a top official of Lippo Group, Billy Sandoro. KPK commissioner Alexander Marwata said that Lippo Group appeared to have a bad compliance program that had enabled one of its officials to pay a bribe. According to a Supreme Court circular on corporate prosecution, a company can be deemed guilty if it does not enforce preventive measures against corrupt practices. The Corruption Eradication Commission (KPK) will announce the status of House of Representatives Deputy Speaker Taufik Kurniawan soon following its request that the Law and Human Rights Ministry issue a travel ban on Taufik. Travel bans can be issued for both witnesses and suspects. The antigraft body has confirmed that the travel ban on Taufik was related to his alleged involvement in a corruption case involving Kebumen special allocation funds (DAK). Previously, former Kebumen Regent Yahya Fuad, who has been named a corruption suspect, reportedly admitted to meeting Taufik several times to discuss Kebumen DAK. During the meeting, according to Yahya, he promised Taufik a 5 percent fee if Kebumen was allocated Rp 100 billion in DAK. 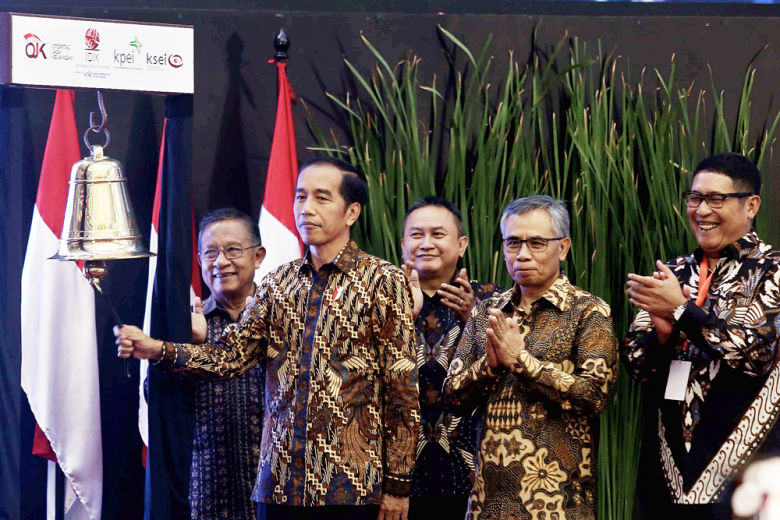 President Joko “Jokowi” Widodo attended the 2018 Our Ocean Conference (OOC) in Bali on Oct. 29, during which he highlighted his achievements in turning Indonesia into a leading maritime power. He said the "mental revolution", which was introduced during his four-year presidency, was one of the keys to success. The President also underlined that Indonesia was determined to play a key role in the global maritime force through the Indonesia Maritime Policy and Action Plan, which covers the improvement of sea connectivity, the development and upgrade of 477 seaports and a decrease of marine plastic waste. Jokowi also pointed out that the government had developed 20 million hectares of marine conservation areas this year. In his speech, Jokowi mentioned the wish of Indonesia to enhance maritime cooperation in the Indo-Pacific region through dialogue, cooperation, inclusivity and respect for international law. He briefly stated his concern over the South China Sea dispute and overlapping maritime claims, although he did not mention China specifically. The West Java Police have named two members of Banser, a youth wing of Nahdlatul Ulama (NU) Muslim organization, who burned a flag during the commemoration of National Santri Day in Garut on Oct. 22. The two members were named suspects in accordance with Law No. 174 on public order. Prior to the arrest of the Banser members, the police arrested the person who took the flag to the celebration and named him a suspect. During the commemoration, members of Banser burned a flag of the banned hard-line group Hizbut Tahrir Indonesia (HTI). The flag burning sparked controversy as some people have argued that the flag bore the message of tauhid, one of the core Islamic core teachings. Two months after the issuance of mandatory B20 blended biodiesel policy, Indonesia will finally see the result. The Indonesian Biofuel Producers Association (Aprobi) chairman Master Parulian Tumanggor said B20 implementation has reached around 90 percent, with only 8 percent from total distributors having yet to apply the policy. Master is confident that 100 percent implementation rate is achievable in the near future. Aprobi even recommended for B30 implementation in April 2019 to boost biodiesel consumption and increase palm oil’s price. The government has set Rp 6,000 per liter penalty for non-complying distributor. American miner Freeport-McMoran (FCX) who owns PT Freeport Indonesia (PTFI) said Grasberg Block Cave or Grasberg underground mine will start producing in first half of 2019. FCX CEO Richard C. Adkerson said the mining will fully move underground at the end of this year after PTFI completes last mining cycle in the Grasberg open pit. PTFI has completed first step undercut in September 2018, which will be mined in the first half of 2019. According to Freeport’s data, Grasberg Block Cave operation will enhance Freeport’s production by 130,000 tons per day in the next five years. The Agriculture Ministry promises to cut horticulture export permit processing to three hours from previously 13 days. 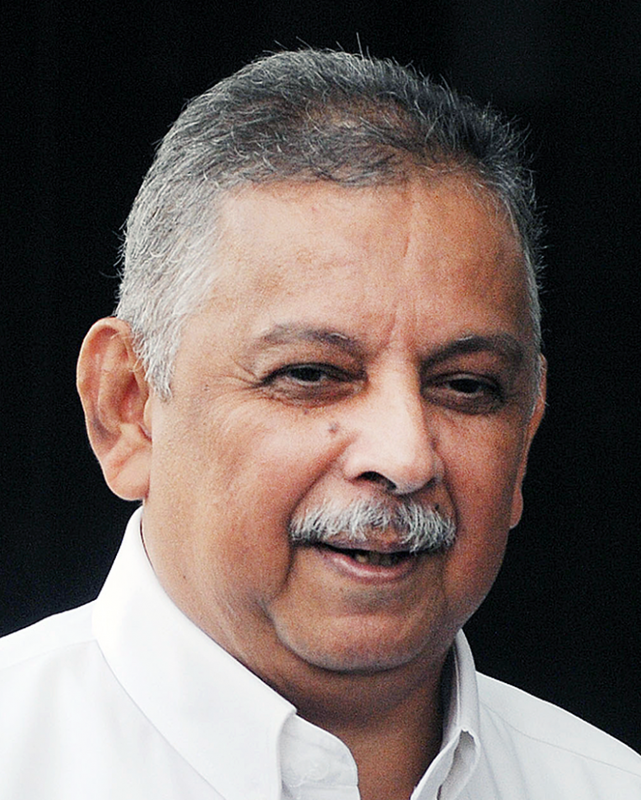 The ministry’ horticulture director general Suwandi said his department is formulating revisions on Agriculture Minister Regulation No 17/2018 to realize the plan, first echoed by Agriculture Minister Amran Sulaiman. Suwandi argued the permit processing acceleration becomes important in line with the increasing export demand and the growing popularity of Indonesian horticulture seeds. There are about 20 types of seeds being exported with China as one of the biggest markets. Trade Ministry recorded horticulture export reached Rp 2.87 trillion in between January to August 2018. Financial Services Authority (OJK) data revealed declining non-performing loan (NPL) in the third quarter of 2018. September’s general NPL figure dropped to 2.66 percent from 2.97 percent in the same period last year. Bank Tabungan Negara Risk Management director Nixon Napitulu said the achievement was probably due to banking sector’s attempt to improve house ownership credit quality. By type of credit, NPL from house ownership credit declined to 2.65 percent from 3.07 percent. The general banking sector recorded declining NPL by 0.2 to 0.8 percent with only Bank Rakyat Indonesia, Bank Permata and Bank Pan Indonesia scored increasing NPL.